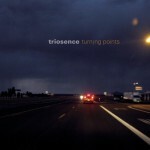 Triosence is a German jazz group founded in 1999. The members are Bernhard Schüler (piano), Matthias Nowak (bass) and Stephan Emig (drums). It has become one of the most successful jazz bands in Germanyand has won the national jazz competition “Jugend jazzt”, the “1st Ostsee Jazz Festival Prize”, and a CD recording contract with the German national radio network, “Deutschlandfunk”. Their first CD, “First Enchantment” was nominated for the "Preis der Deutschen Schallplattenkritik". The second CD "Away For A While" stayed in the German International Jazz Charts for over 6 Month. It is very successful in Japan, too. The first CD was sold out after a few weeks. A tour through Japan is projected.